My name is Brian Anderson. I founded TallySheet with my wife Holly (she is the beautiful lady on the left). I love to build things that make people’s lives easier. One of the people that I care the most for is my wife Holly. She and her girl friends have run garage sales together for years. They are stay at home mom’s that want to make some extra money and clean out their houses. TallySheet was designed to make their lives easier and in turn the lives of many people around the world who organize similar sales events. Their garage sales aren’t small endeavors. 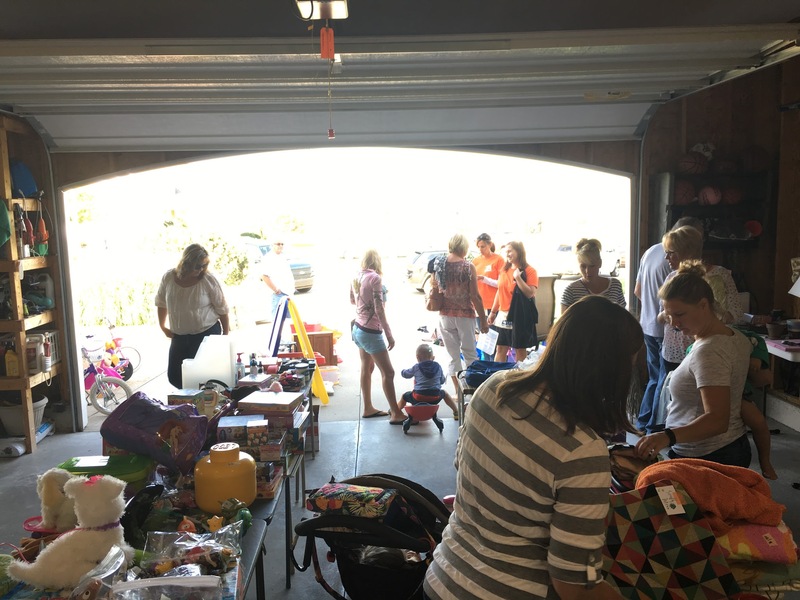 They take time to organize and price items for multiple families selling items in the same garage. Their sales are focused on key weekends when there is an organized effort to have a neighborhood sale. These events are extremely popular. They lead to the streets of our neighborhood being filled with cars and people shopping sales for two straight days. The first morning is insane. People are literally driving around the neighborhood waiting for garages to open. As soon as the doors start opening the garages become packed with people. Lines to checkout start forming and this goes on for hours. This is an old school tally sheet that people use to keep track of sales for multiple sellers at a garage sale. During the 2015 spring sale, my wife’s friend Kristen finally said “There has got to be an app for this!”. My wife told me about her comments and started describing the problems. It is hard to keep track of all the sales. Prices are negotiated at the time of sale and the amounts aren’t always recorded properly. It is difficult to keep track of each seller’s sales during every transaction. Keeping track of stickers is a pain. Calculating the payouts for every person can take hours after the event. The amount of cash that they collect never matches their tally sheet. As we started to understand these problems the requirements became clear. We researched the market and then set out the build the app. We tested it in during the fall Georgetown Shores Neighborhood Garage Sales in 2016. Here is what they asked for and what we delivered. (1) TallySheet should help them work together as a team. 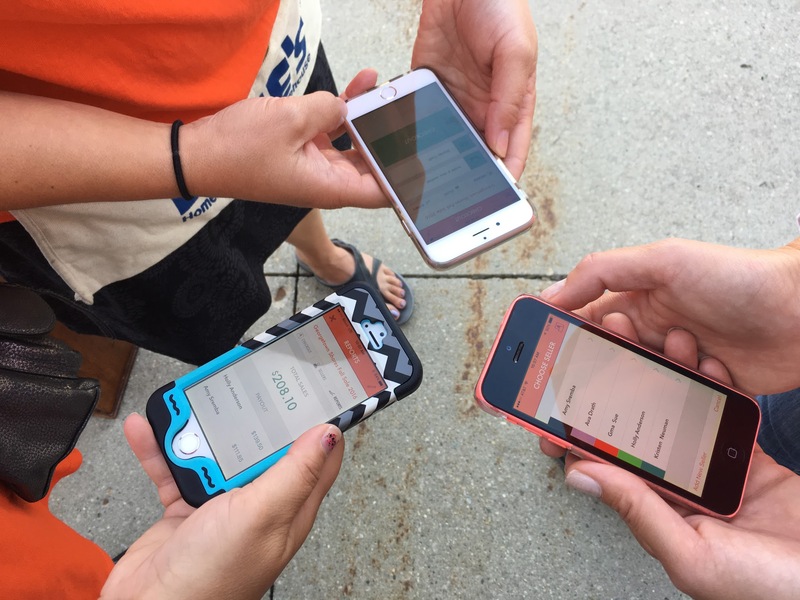 (2) TallySheet should be able to be used each cashier’s phone. Multiple people can connect and work together as a team during an event. We support iOS and Android phones and tablets. (3) TallySheet must be able to keep track of all of the starter cash. (4) TallySheet must be able to track the actual sales of each seller during every checkout without keeping track of stickers. (5) TallySheet must calculate the change so they don’t have to do the math during the checkout process. TallySheet enables you to track starter cash and checkout customers. TallySheet allows you to track sales by multiple sellers in each transaction. TallySheet allows you to enter the amount collected for each seller at the time of sale. This allows you to enter the actual amount that was negotiated. TallySheet allows you to build up a cart of sales for each seller in one transaction. TallySheet calculates the change for you. (6) TallySheet must enable cashiers to see all of the transactions and who collected the money. (7) TallySheet must be able to keep track of things like product swaps between sellers and refunds. TallySheet shows you a history of transactions including sales, refunds and product swaps. (8) Most of all, TallySheet must have reports that calculate accurate sales and payouts for every seller. TallySheet supports real-time reports that calculate total sales, seller payouts, seller sales, starter cash by seller and other statistics. Yes!!! It not only worked, it was the most accurate and efficient sale they ever ran. 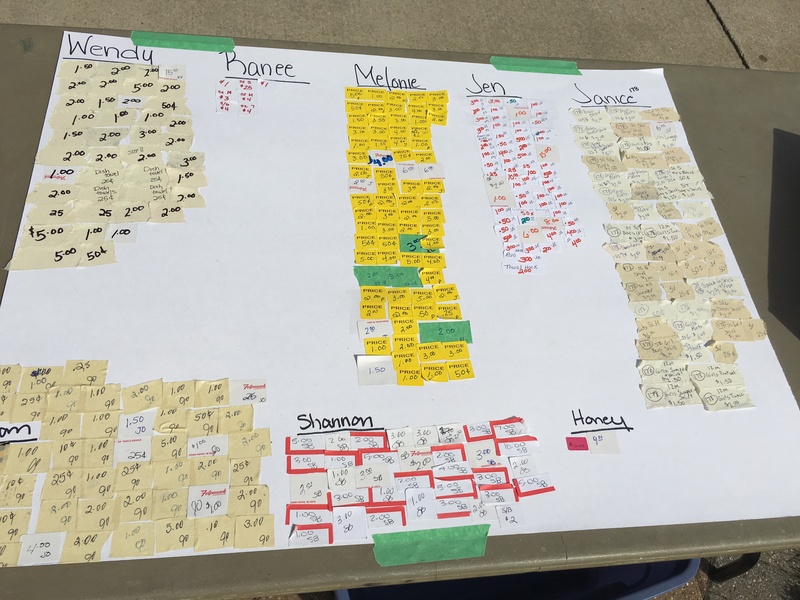 My wife used to spend hours on our living room floor calculating the sales and payouts for each seller. It was painstaking and inaccurate due to the way they tracked sales. There was typically over $100 difference between what was in the cashbox and what was calculated as payouts. This sale had a total difference of $0.28 and she didn’t spend one minute on the living room floor trying to do all the math!!! 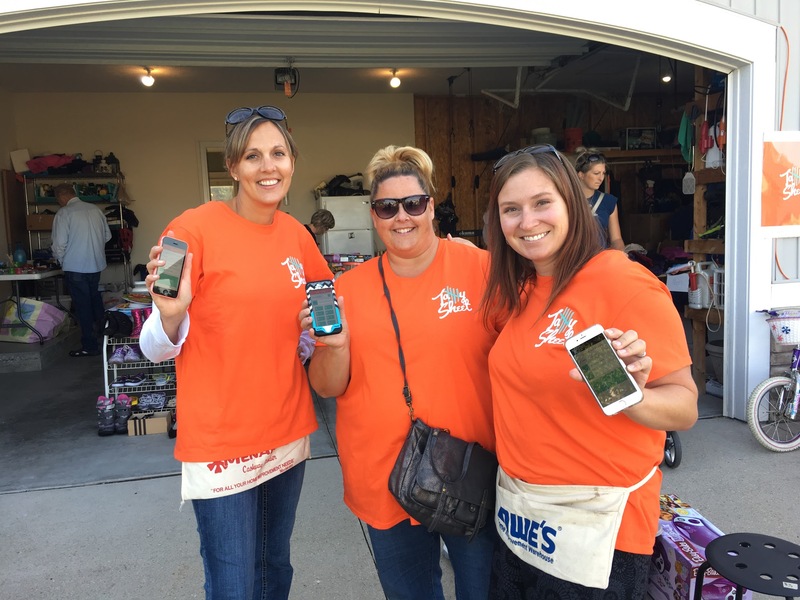 If you are running a garage sale or any other event where you need to track sales from multiple sellers then try TallySheet!